SELECT Brown on the Cosori Multicooker, set the temperature at 400°F, and press Start/Cancel. Allow the multicooker to heat up. ADD in bacon and cook until crisp, about 8 to 12 minutes. Drain and set aside, reserving 2 tablespoons of bacon grease. ADJUST the temperature to 350°F, add the onions, and cook until translucent. ADD in the potatoes and garlic and cook for about 2 minutes. ADD in the chicken stock, salt, pepper, and tarragon. Cover with lid. WHISK together the milk and sour cream in a separate bowl until it is well combined. Set aside. SELECT Boil (N) and add the milk and sour cream mixture. Cook until potatoes are tender, about 20 minutes. CREATE A SLURRY by whisking 1 tablespoon of water and 1 tablespoon of cornstarch together and adding it to the soup. Add more slurry if needed. COOK for 5 minutes until soup has thickened nicely. Press Start/Cancel. ADD in the cheddar cheese and mix until it is melted and well incorporated. SERVE hot and garnish with bacon, cheese, sour cream, and scallions. SELECT Sauté on the Cosori Multicooker, adjust the temperature to 310°F. MELT the butter in the multicooker, once it has heated up. ADD in all the spices and hot sauce and toast them for 2 to 3 minutes. ADD in the minced garlic and shrimp. Cook for 3 minutes. ADD the corn and let steam for 2 to 3 minutes. SERVE on a platter and garnish with fresh cut scallions. SQUEEZE as much water as you can out of the spinach, preferably with a dry kitchen towel or cheesecloth. Set aside. SELECT Sauté, adjust the temperature to 325°F, and press Start/Cancel. Wait until the multicooker has heated up. MELT the butter, add the onion and garlic, and cook for 5 minutes. SPRINKLE the flour over the onion mixture, creating a roux. Cook the roux, stirring frequently, for 3 minutes. Stir in the milk and cream. STIRRING slowly and continuously, cook the sauce until it comes to a boil and thickens enough to coat the back of the spatula, about 2 minutes. MIX in the spinach, nutmeg, and Parmesan cheese. ADD the oil to the Cosori Multicooker. SELECT Oven Roast, adjust time to 40 minutes, and press Start/Cancel. Allow to heat up. ADD the potatoes, butter, salt, and pepper. Mix well and cook with the lid on for 30 to 35 minutes, stirring occasionally until well browned and cooked through. ADD the garlic and herbs. Cook for 3 to 5 minutes. SELECT Sauté on the Cosori Multicooker and press Start/Cancel. Allow to heat up. MELT in the butter. Once melted, add in the chocolate. COOK the chocolate until it is barely melted, about 2 minutes. Press Start/Cancel. REMOVE the inner pot from the multicooker. PLACE the mini marshmallows on top, covering the chocolate. BAKE the smores dip in the preheated oven for 5 to 7 minutes or until the marshmallows are browned nicely. SELECT Bake on the Cosori Multicooker and press Start/Cancel. BEAT the butter in an electric mixer on high speed for 5 minutes. CREAM in the sugar on high speed until the mixture is pale yellow, about 3 minutes. ADD in the eggs, one at a time, and mix until fully incorporated. Mix in the salt and vanilla extract. MIX in the flour on low speed until all the flour is incorporated. ADD the milk gradually on low speed. PORTION the batter into 2 greased mini loaf pans. PLACE the pans into the multicooker on the metal rack and cover. 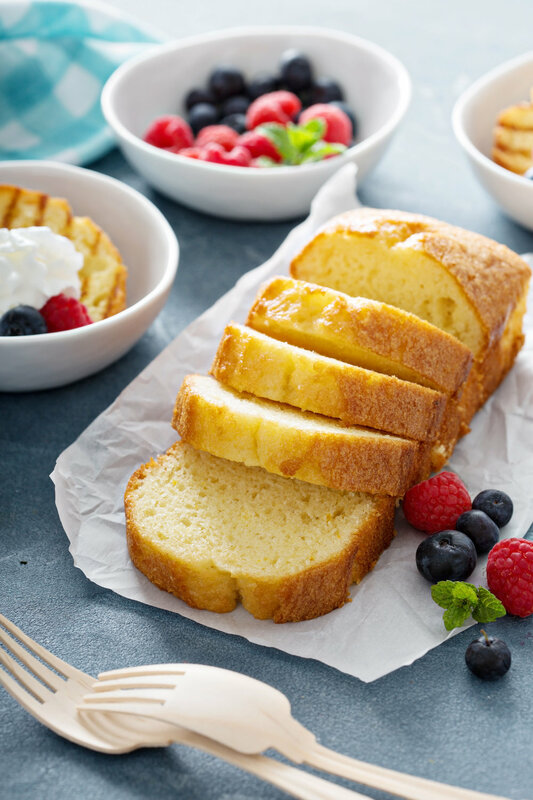 COOK the pound cakes for 1 hour. CREAM together the softened butter, granulated sugar, brown sugar, and vanilla in a large bowl until smooth and pale yellow. BEAT in the egg until it is well combined. MIX in the flour, baking soda, and salt until all the dry ingredients are well incorporated. FOLD in the semi-sweet chocolate chunks until they are evenly distributed throughout the cookie dough. ROLL the dough into a 2-inch thick roll. Cut into ½-inch slices and place in the fridge. PLACE the rack, lined with parchment paper or foil, into the Cosori Multicooker. SELECT Bake on the multicooker, set the timer for 35 minutes, and press Start/Cancel. SPRAY the foil with nonstick cooking spray and place the cookies (4 to 6 at a time) on the aluminium lined rack. Cover with lid. REMOVE the baked cookies carefully from the multicooker and enjoy with a glass of cold milk. SELECT Bake on the Cosori Multicooker, adjust the temperature to 400°F, and set the timer to 2 hours and 45 minutes. Press Start/Cancel. MIX together the butter, chocolate, cocoa powder, and espresso powder in a microwave-safe bowl. Microwave until chocolate is melted and mix until everything is well combined. WHISK in the sugar and eggs, one at a time, until everything is well incorporated. MIX in the vanilla extract, salt, and flour into the batter until fully incorporated. ADD the brownie batter to a greased 9x5-inch baking pan. PLACE the brownies in the multicooker on a rack and cover. REMOVE the brownies from the multicooker and allow to cool completely, when done cooking. SELECT Bake and set the temperature to 375°F. PLACE a steam rack into the Cosori Pressure Cooker inner pot and cover with the lid. PLACE a small pot on the stove top and set it to medium heat. PLACE your chocolate into a microwavable bowl and microwave for 1 minute, or until completely melted. COMBINE butter and flour in the stove top pot and mix until smooth and pasty, 2 minutes. Then remove from heat. GRAB your chocolate and roux mixture and mix until well combined. SEPARATE your egg yolks from your egg whites. Add your egg yolks and vanilla extract to the chocolate roux mixture. Mix until well combined. WHISK your egg whites in a separate pot until they start to foam. Then, add the sugar and whisk until soft peaks form. FOLD the egg whites into the chocolate mixture until combined. Be careful not to over mix. BUTTER the ramekins and coat them with sugar on the inside. POUR in your chocolate mixture and fill to the top. PLACE both ramekins in the multicooker pot, cover, and bake for 40 minutes. PREPARE these ahead of time and, as you enjoy your dinner, these can be baking in the multicooker. Once they're ready, take them out and serve. all of the flavors to marinate. SEASON both sides of the chicken with salt and pepper and allow to come to room temperature. 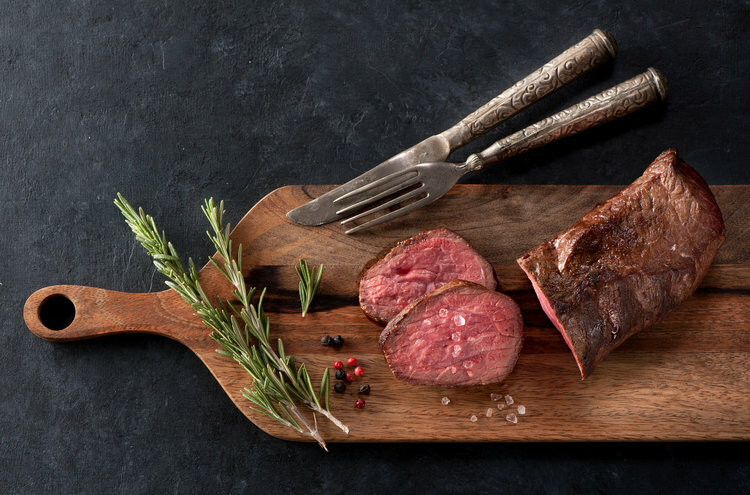 SELECT Oven Roast on the Cosori Multicooker, adjust the temperature to 400°F, and set the time to 20 minutes. Allow the multicooker to heat up. HEAT the butter and oil in the multicooker until butter has melted. SEAR the chicken in the pot skin-side down and allow the skin to cook until golden and crisp; each piece of chicken should cook for 10 minutes on each side. If necessary, use a meat thermometer to check that all of the pieces have reached 165°F. SERVE the chicken with the chimichurri on top or on the side. SELECT Sauté on the Cosori Multicooker and press Start/Cancel. WHISK the eggs, heavy cream, salt, black pepper, and 2 tablespoons of butter together. Set aside. MELT the remaining butter in the preheated multicooker. Once melted, add the egg mixture. STIR the eggs constantly to allow them to cook slowly until they are thick and runny. MIX in the goat cheese and diced tomatoes until cheese is melted through. ADD in chives and mix well. SERVE on top of toasted brioche. SELECT Boil (N) on the Cosori Multicooker, adjust the time to 10 minutes, and press Start/Cancel. Allow to heat up. ADD in the oats, milk, sugar, and salt. Mix well and cover with lid. COOK the oats until timer is done or until the porridge has reached desired thickness. PLACE the porridge into bowls for serving and top with brown sugar. ALLOW the residual heat from the porridge to melt the brown sugar. TOP with sliced bananas and toasted walnuts. SELECT Brown on the Cosori Multicooker, change the temperature to 400°F, and press Start/Cancel. Allow the multicooker to heat up. COOK the bacon until crispy and golden brown, about 10 minutes. Press Start/Cancel. Remove bacon from pot and set aside. SELECT Sauté and press Start/Cancel. Add the garlic and onion. Sauté until golden and fragrant, about 3 to 5 minutes. Add in the spinach and sauté for 4 minutes, until wilted down. REMOVE the vegetables from the multicooker and mix with the bacon. Set aside your ingredients and clean the multicooker pot. WHISK together the eggs, milk, cream, cheese, nutmeg, ground mustard, salt, and pepper in a large bowl. ADD the bacon and vegetable mixture and the bread cubes to the egg mixture and stir until well combined. Set aside. SELECT Bake, change the temperature to 325°F and press Start/Cancel. Allow the multicooker to heat up. ADD the strata to the preheated multicooker, cover, and bake 25 to 30 minutes. *Before making the yogurt, it is important to sterilize all equipment you will be using. This helps ensure any unwanted bacteria or flavors keep from developing in the yogurt. ADD the milk to the Cosori Multicooker. SELECT Boil (H), and press Start/Cancel. Bring the milk to a boil or to at least 180°F. COOL the milk to at least 110°F, then transfer the milk to a separate bowl. Clean the multicooker pot. WHISK in the yogurt culture making sure that the culture is well incorporated. Add the yogurt back into the clean multicooker pot and cover with lid. SELECT Yogurt and press Start/Cancel. You can set the time to a minimum of 4 hours or a maximum of 24 hours. The longer you incubate your yogurt, the tangier and thicker it will be. SERVE warm or store in the fridge for later use. MIX the liquid (whey) on top of the yogurt with the solid yogurt until smooth. MIX the vanilla and honey into the yogurt. ADD about ⅓ cup of berries to the bottom of each. ADD in ½ cup of yogurt on top of the berries. TOP with granola and more berries. SELECT Brown on the Cosori Multicooker and press Start/Cancel. Allow the multicooker to heat up. ADD the butter. Once the butter has melted, add the onions. COOK for 20 minutes or until onions have browned nicely. ADD the sugar. Cover and cook for 10 minutes, then add the wine. SELECT Boil (N) and press Start/Cancel. ADD in the broth, thyme, bay leaves, garlic, salt, and black pepper. SELECT Simmer, adjust the time to 2 hours, and press Start/Cancel. LADLE the soup into individual broiler-proof soup bowls. Top with bread and cheese. BROIL bowls on baking sheet under broiler until cheese is melted and bubbly. ADD in 1 tablespoon of olive oil and the sweet Italian sausage. Cook for 10 minutes and set aside. ADD in the rest of the oil, then add in the onion, garlic, celery, carrots, salt, and pepper. Cook until onions turn translucent, about 3 to 5 minutes. ADD in the white wine and cook for 1 minute. Press Start/Cancel. ADD in the kale, diced tomatoes, chicken stock, Italian seasoning, oregano, and parsley. SELECT Boil (H) and press Start/Cancel. Boil for 10 minutes. ADD in the tortellini. Cook until pasta is cooked through, about 5 minutes. SERVE hot in bowls and top with grated Parmesan cheese. CHAR the onion and ginger over a flame or in a broiler until black. ADD charred onion and ginger to the Cosori Multicooker with the chicken breasts, star anise, coriander seeds, garlic, cloves, salt, fish sauce, brown sugar, and chicken stock. Cover with lid. SELECT Slow Cook (High) and press Start/Cancel. REMOVE the chicken breasts when done cooking and slice them. LAYER the cooked rice noodles in a large bowl along with your sliced chicken. LADLE the hot pho broth over cooked noodles and chicken. SERVE with cilantro, sliced jalapeno, bean sprouts, and lime wedges. SELECT Brown on the Cosori Multicooker, set temperature to 400°F, and press Start/Cancel. Allow the multicooker to heat up. ADD in the bacon and cook until lightly browned, about 10 to 15 minutes. Remove the bacon and set aside on a plate. Add oil to the pot with bacon fat. PAT DRY the beef cubes with paper towels and then season them with salt and pepper. SEAR the beef in the hot oil and bacon fat for 3 to 5 minutes, browning all sides. REMOVE the beef and set it aside with the bacon. ADD the carrots, onions, and mushrooms to the multicooker pot and cook for 10 to 15 minutes. DEGLAZE with the Cognac and ignite with a match to burn off the alcohol. Stand back when lighting to ensure safety. PLACE the meat and bacon back into the multicooker pot with the juices and add the bottle of wine, beef broth, soy sauce, tomato paste, bay leaf, and thyme. Bring to a boil, and once boiling press Start/Cancel. Cover with lid. SELECT Simmer and set the timer for 1 hour and 30 minutes. MIX together the flour and butter in a small separate bowl until it forms a ball. WHISK in the flour and butter mixture little by little to the multicooker pot until it is all incorporated and smooth when done simmering. SELECT Boil (H) and cook for 5 minutes, or until the stew has come to a nice thickness. SERVE with freshly chopped parsley and warm toasted bread.